Friends! 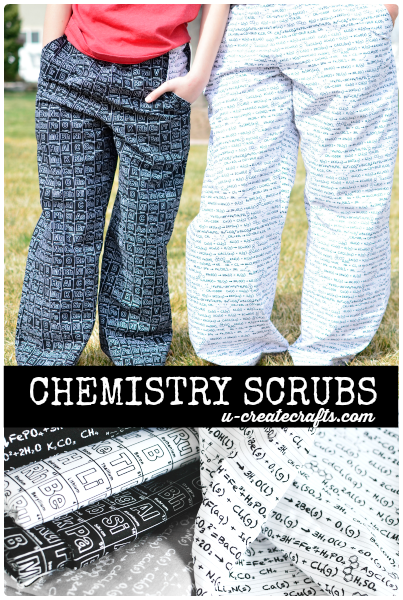 I cannot even tell you how excited I am to share these Chemistry Scrubs with you. You’re probably thinking, “Umm..okay. They are just scrubs.” Yes, they are plain ordinary scrubs, this is true. The most totally awesome thing about them is they are sewn with fabric I designed for Riley Blake Designs! (Insert annoying high-pitched squeal…and some tears). 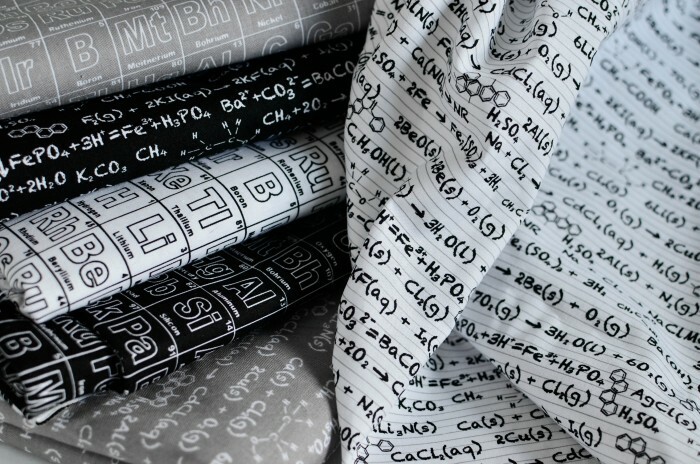 The idea for this fabric came about from my love for all things science! I didn’t understand how cool science was until I was an adult.… In my 30s! I wanted to create something that was not too juvenile and could be used for adults and college kids alike. My 12 year old son and I sat down with a book of chemistry equations and philosophies and we began creating…it was definitely a team effort. This is my first fabric line and I couldn’t be more thrilled to have accomplished this goal of mine. I never dreamed that my Love of sketching and doodling would bring me to the fabric design industry, but I am so glad it did. This is my blogger bio that is normally at the end of posts and tutorials. Do you see that part that I circled? I have dreamed of designing fabric for about 5 years now. A dream that I had no idea how to achieve, but I “put it out there” and EVERYTHING lined up to make it happen…more on that another day. For now, I am just enjoying making things with my very own fabric. To make these awesome scrubs, I decided to follow a pattern. SHOCKER, right? I normally just “wing it” and try to figure it out as I go. I have learned this method might not be the most effective way to sew, so I bought Simplicity S0816 at Joann Crafts and then I modified it a bit. I bought this particular pattern because of the pockets. I have NEVER sewn pockets before and wanted to learn…the right way; no guessing. So I followed the instructions on the pattern and made my very first set of pockets. Yeah! I decided to leave off the pockets on the legs as well as the draw string. 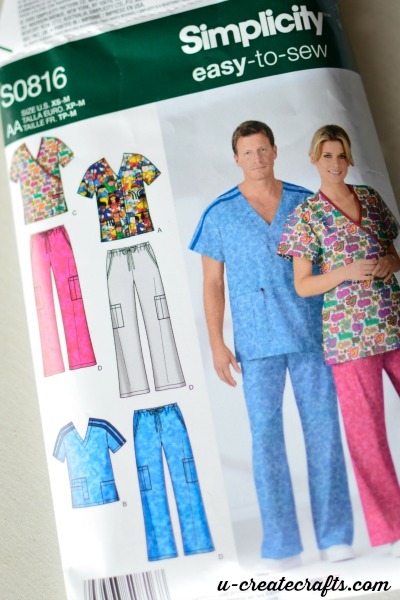 They were super easy-to-sew and now sciency son and his sciency mom have coordinating scrubs…in fabric I DESIGNED! Also, check out the Composition Notebook Cover I made at Riley Blake Designs. 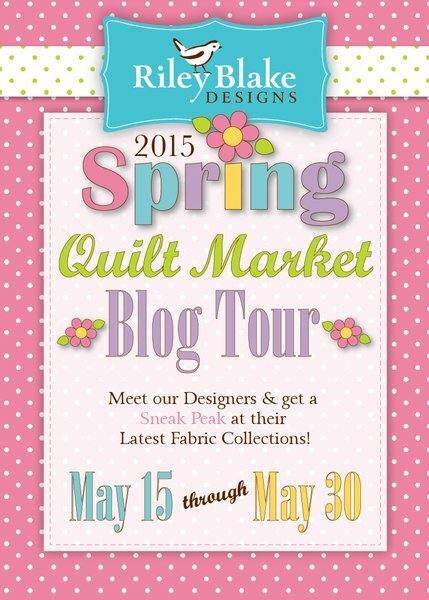 Be sure to follow along as we meet our fantastic designers and get sneak peaks at their upcoming collections! I was more excited about the fabric…and then I saw that you designed it!!! So awesome! Love love love it!! My chemist husband will support this purchase! I am thrilled you love the fabric! 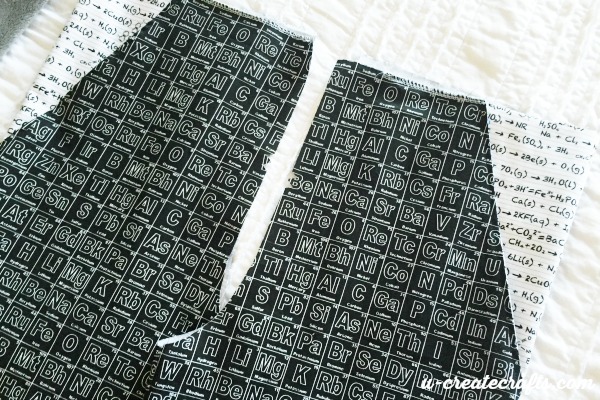 I am a huge science lover and am raising little science lovers, so the fabric is a perfect expression of me. I would love to see what you make with it. Wow, how great is that?!!!! Congratulations! Did/can you also design some math fabric? Congratulations!!! So excited for you. I LOVE this fabric. I was a chemistry major and taught chemistry until we had kids. Now stay at home and write a blog and have a quilt business, and my hubby is a chemistry teacher. I would love to design a quilt especially to highlight your fabric. I’ll be sending you an email via your contact me page. Wow love the fabric! My son is a premed student and he also works as a lab assistant and must wear a lab coat all the time! I am thinking that a lab coat would be just the stuff from that material! Your scrubs are great! 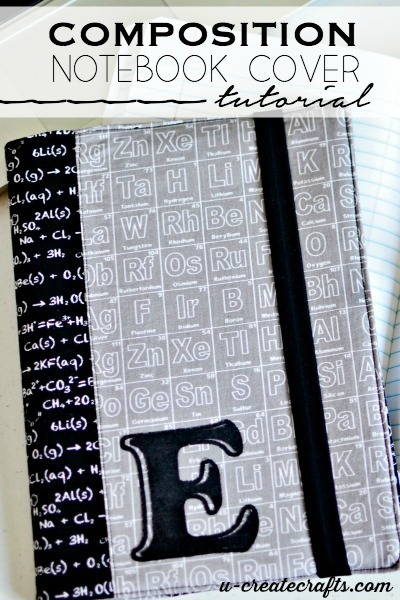 Love this fabric, I have a two science geeks. One is headed off to College in the Fall to study chemistry, wondering if he would wear these? Thanks for the inspirations.